If you want to delegate tasks effectively, it’s important to clearly describe what the tasks entail. 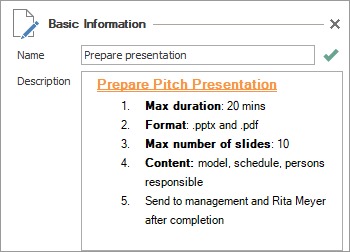 InLoox enables you to format tasks descriptions through the context menu – for more clarity and overview. Each Best Practice article will give you a tip on how you can make the most out of InLoox. A lot of InLoox’s features can be used in many ways, which enables you to work more effectively and more efficiently. One of these often-overlooked features is that you can format the text in the task description box. Project managers have to create and delegate tasks to team members. 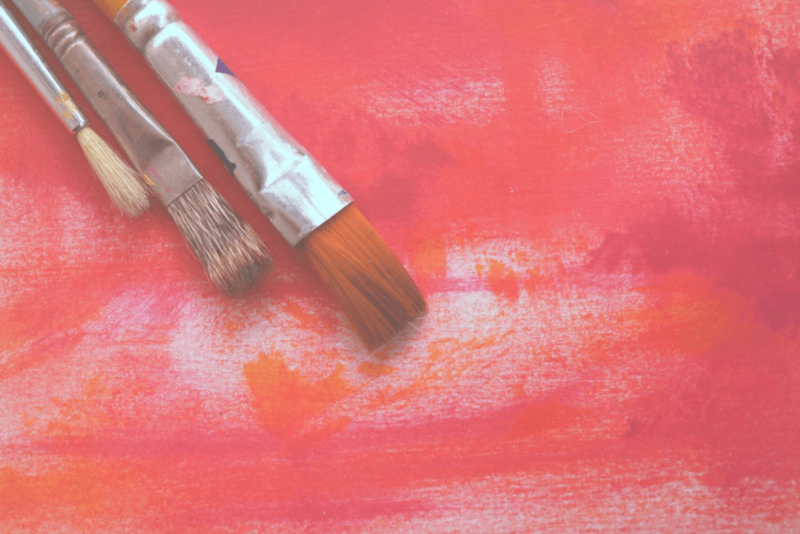 It’s important to define these tasks clearly if you want team members to be able to start working on them as soon as they get the notification. One way to do so is to describe the tasks in a concise and understandable way. 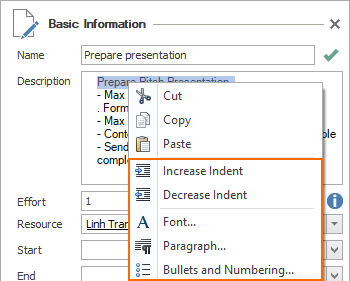 With InLoox, it’s easy to do so thanks to the formatting feature via the context menu. Our recommendation is that every InLoox user should make use of this feature and not just project managers. If you format your personal tasks clearly and in a coherent way, it’ll be easier for you to understand the objective of the tasks later. People often underestimate the scope of a task when they only see the task title. A clear and informative task description help prevent such misunderstandings. 1. Click on Tasks in the InLoox PM / InLoox now! tab to open the task list. 2. 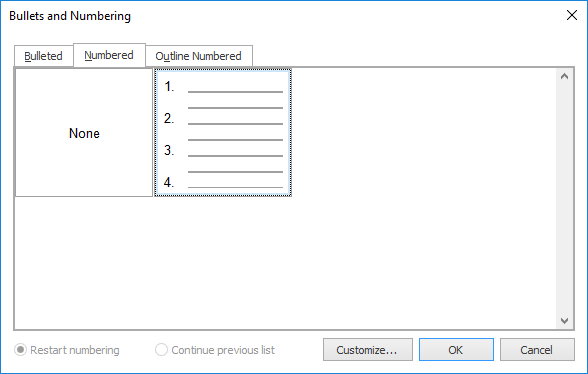 Click on New Task in the Start tab to create a new task or open an existing task to edit it. 3. Add all necessary task information and data in the task side panel on the right, including the task description. 4. After adding the description, highlight and right-click the part of the text you want to format. A context menu opens. 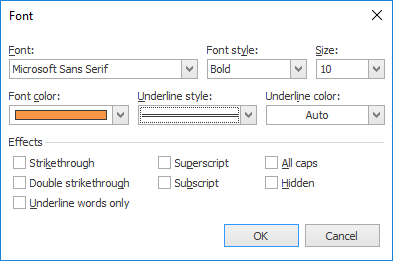 Font: Choose another font, change the font color and size, or change the font style. You can also use additional effects such as capitalization or subscripts. 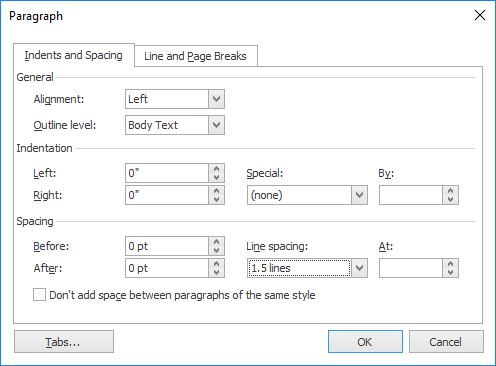 Paragraph settings: Define alignment settings (left, right, center, justification), indentation, line spacing and line / page breaks. Close the task after formatting the description – InLoox saves all changes automatically. 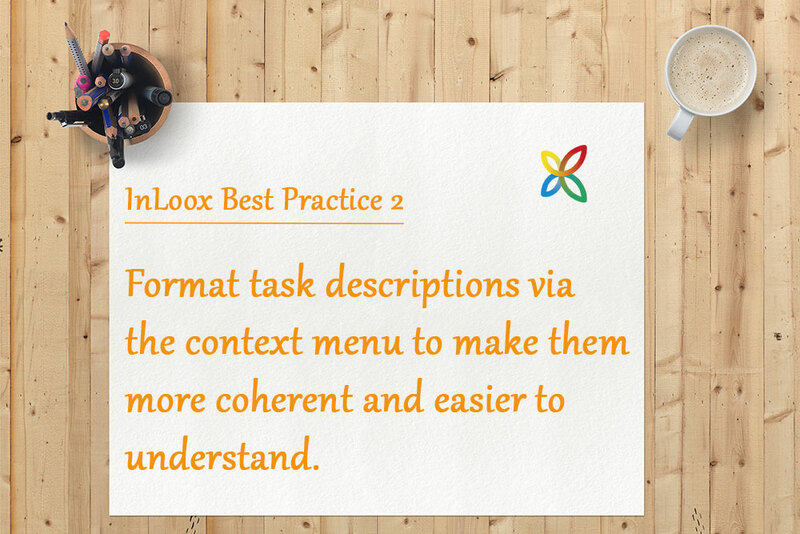 InLoox Best Practice (2): How to format your task descriptions - InLoox • Copyright 1999-2019 © InLoox, Inc. All rights reserved.